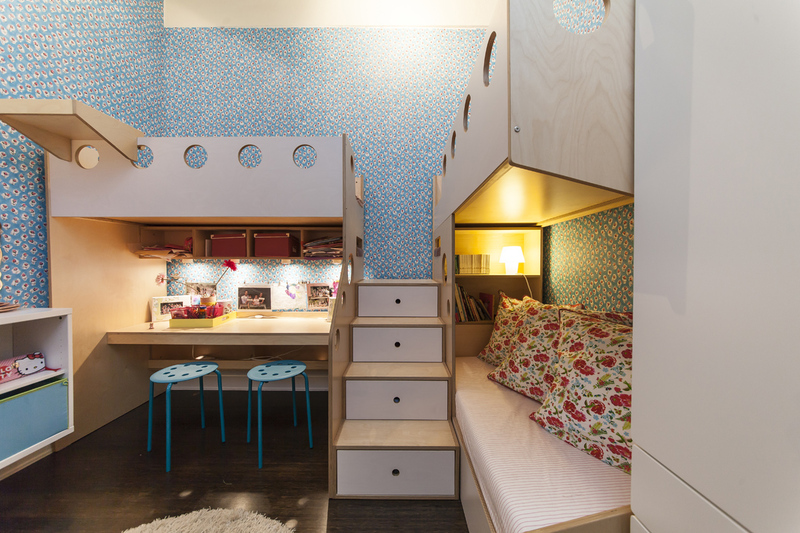 Few spaces are more difficult to design than the kids’ room. 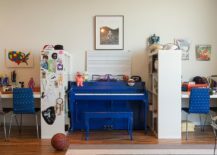 For those who do not have kids in their home, it is simply a process that one cannot explain in words! 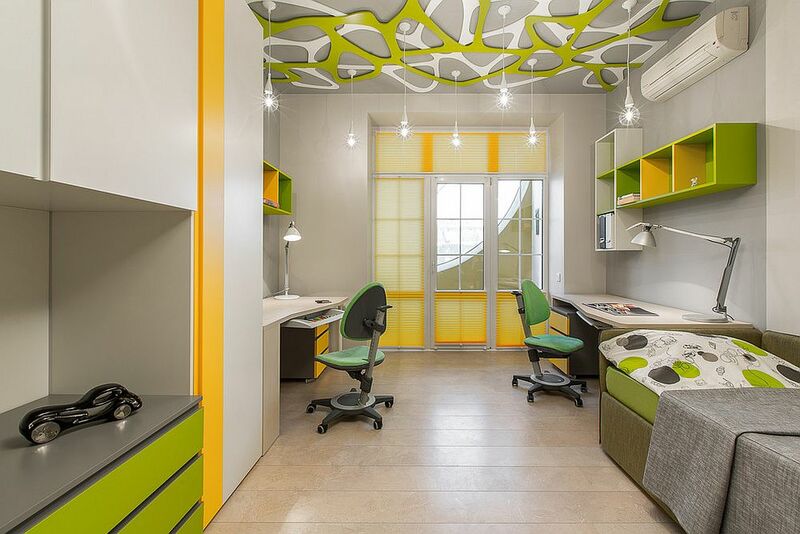 It requires loads of patience, an ability to try out something new, to adapt and of course plenty of design flexibility. 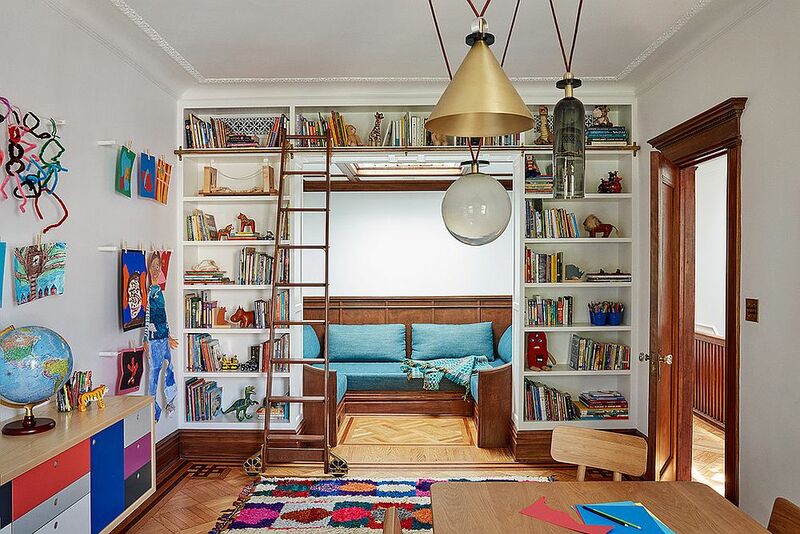 For those decorating the kids’ room on a budget, things get even trickier. 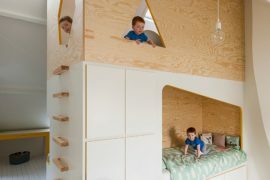 Gone are the good ol’ days when our parents simply put us in a room with our siblings and asked us to make the most of it. 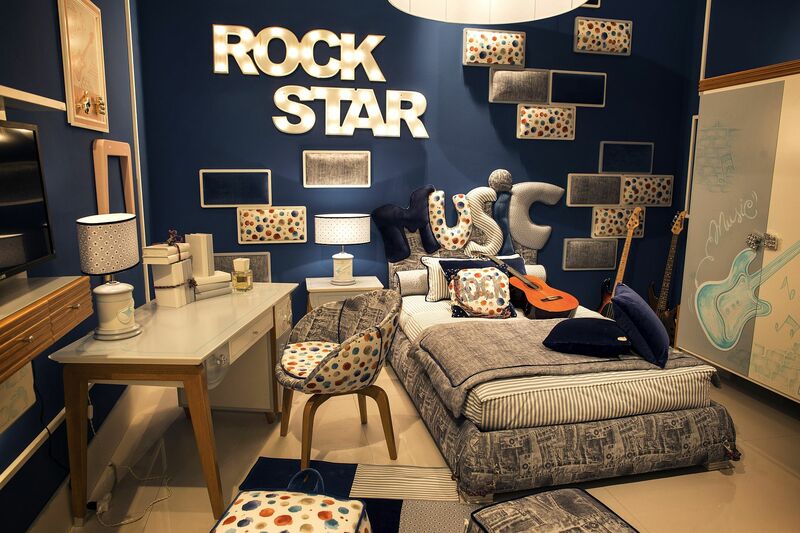 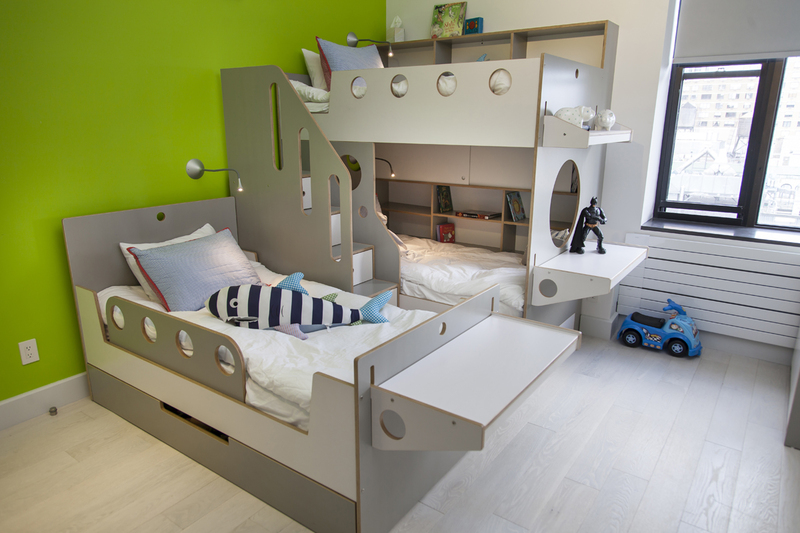 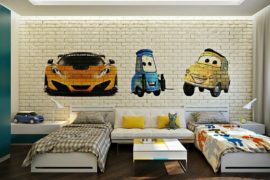 Today’s kids’ rooms need to act as play areas, study zones and much, much more. 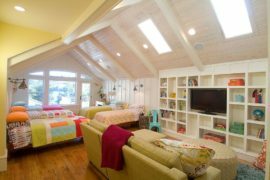 We focus on one of these aspects today with gorgeous homework station and study space ideas for the modern kids’ room. 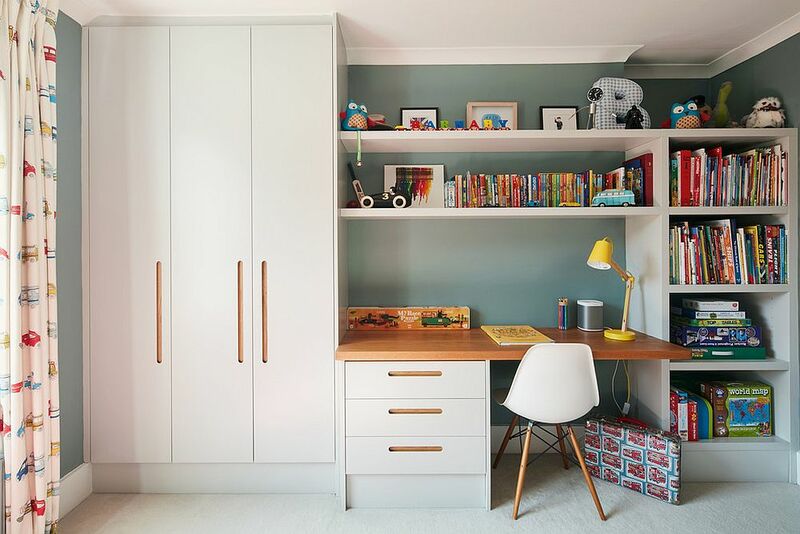 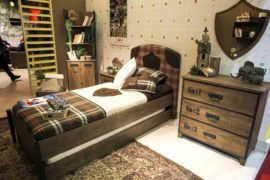 The small study space in the kids’ bedroom needs to adapt to the existing style of the room and with the right décor choices and spatial solutions, one can achieve this with ease. 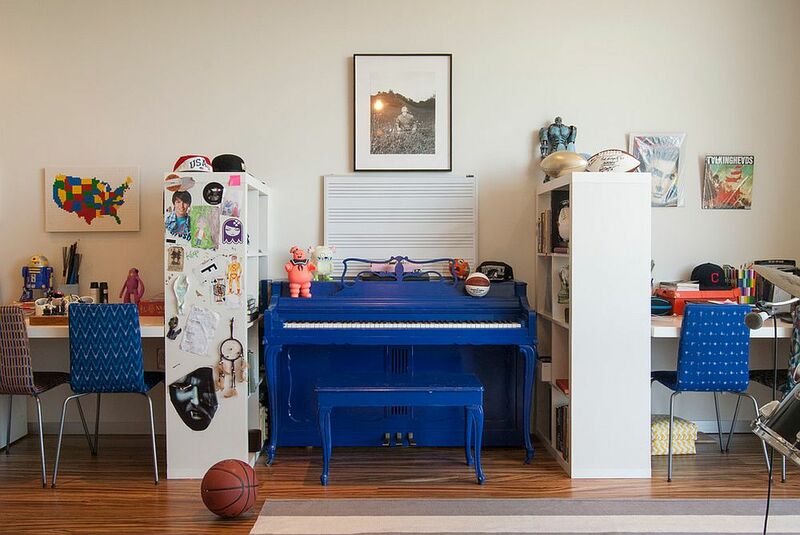 In the modern industrial kids’ room a desk with industrial vibe is something that comes in mighty handy. 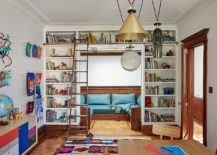 If you do not want to go down this route, then pick one in white and with traditional design to make sure it blends with the rest of the room. 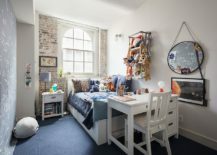 A similar workstation also feels apt in the shabby chic bedroom in white or pink while a touch or ornate elegance serves you well in the princess-themed girls’ bedroom. 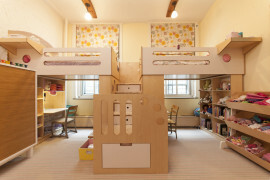 Even the room of your little princess can use a study space! 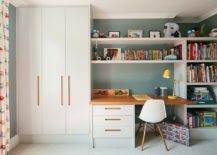 A neutral backdrop for the workstation allows you to use seasonal accents with greater ease and this fall, try out colors like orange and navy blue to give the workstation an identity of its own. 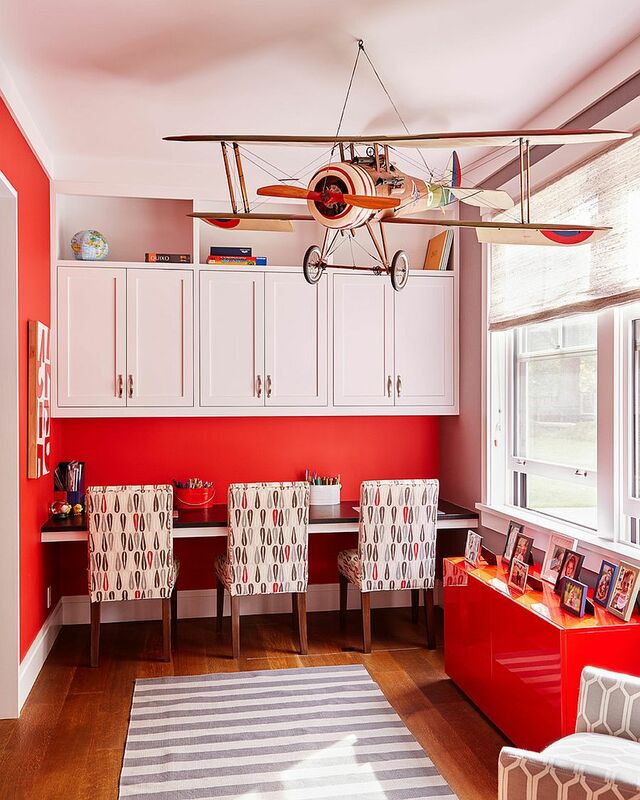 The study space in the kids’ room also benefits from colors that are repeated elsewhere in the setting and you can use a common color scheme to link the newly added study space with the rest of the room; even if there are small stylistic differences. 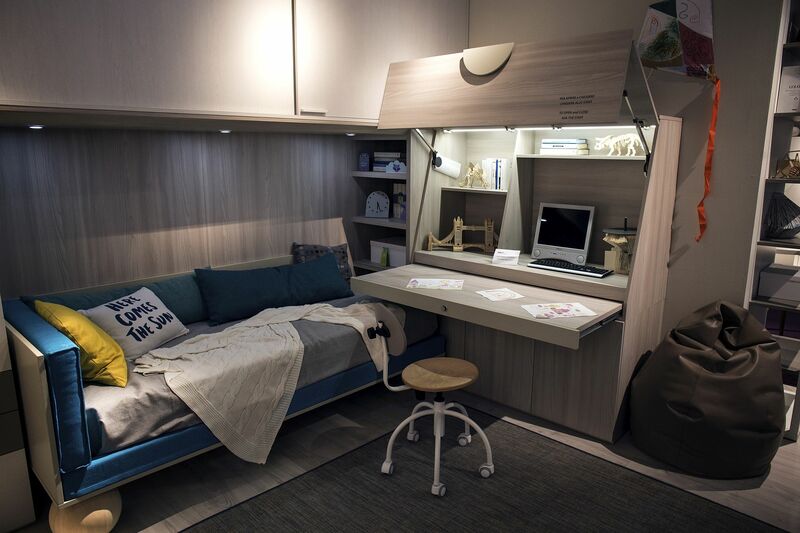 A homework station that becomes part of the bedroom decor with ease! 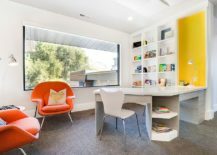 We love shared study zones as they simply seem like space that ooze with more creativity. 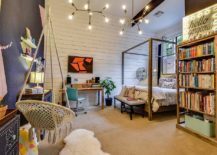 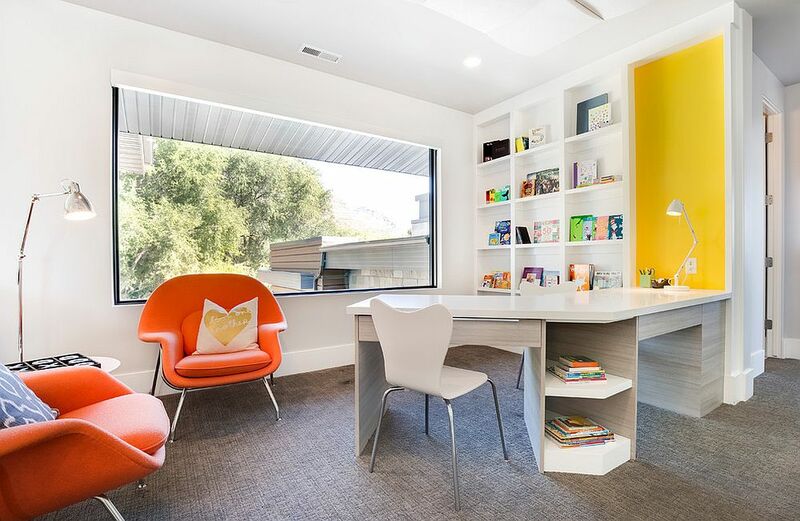 The shared study is the perfect homework space for all your kids and in a home with an army of kids (sometimes even three kids can feel like an army to handle), these areas allow them to spend quality time together even while getting work done. 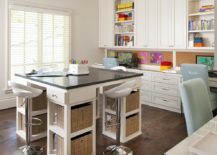 Placing it next to your own home office or kitchen is even better as it allows you to do your own stuff while keeping an eye on the little ones. 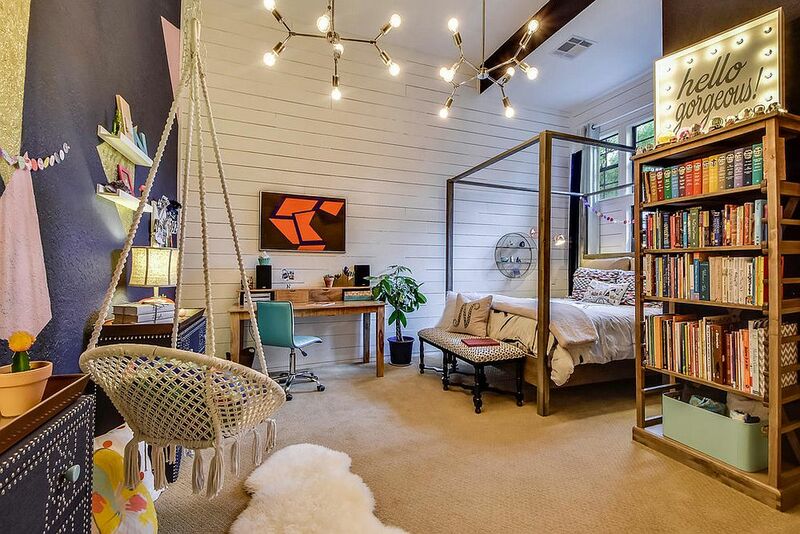 Be it in the bedroom itself or in the corner of the living area, shared study zones come in mighty handy. 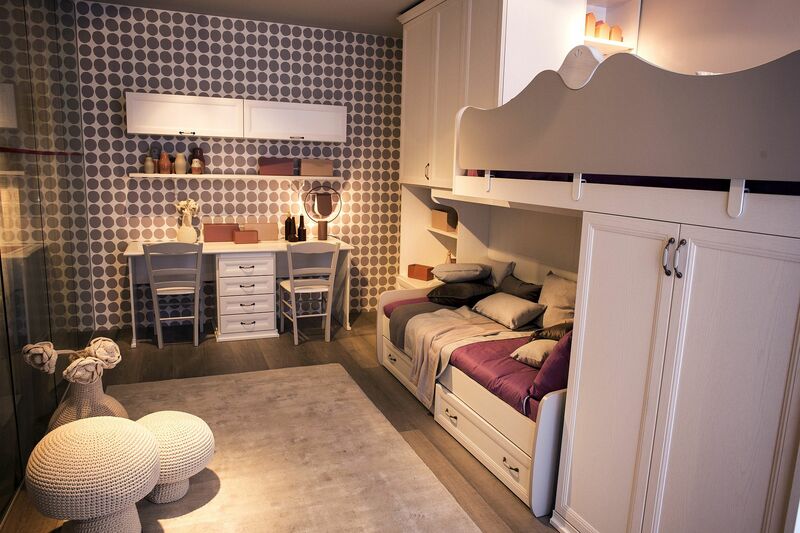 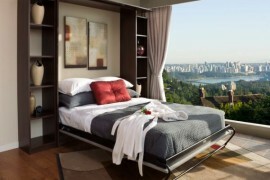 Move the beds above to create space for a study below! 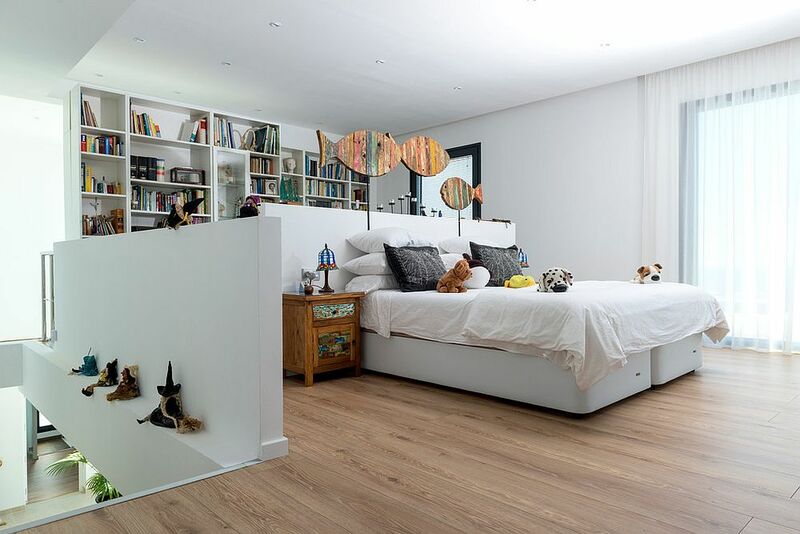 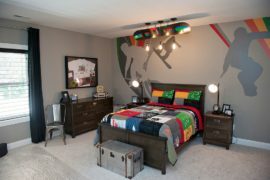 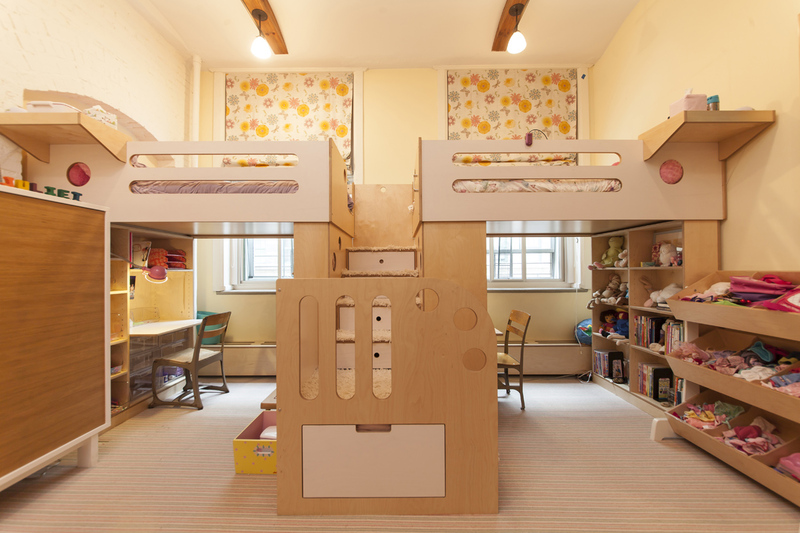 We understand the constraints of space in the small kids’ room and this is where the loft beds with space underneath for the study come to your rescue. 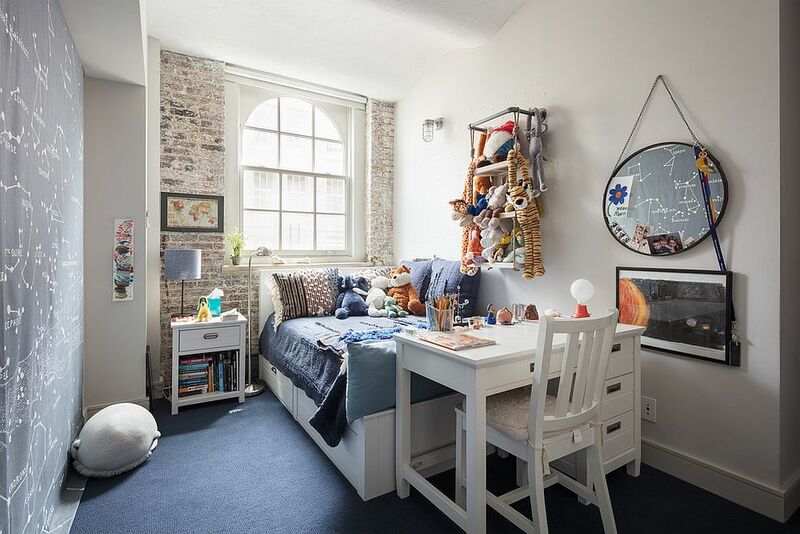 Corner beds also free up the reminder of the room for the spacious study desk while custom desks that can be folded away when not in use are also a great, space-savvy option.